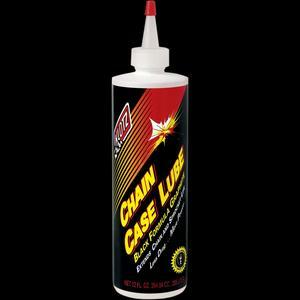 No Toil NT401 Biodegradable Chain Lube with Wax - 12oz. Compatible with O,X & Z Rings. Polymer based for wet weather conditions. Deeply penetrates pins, rollers and links. No CFCs. Colourless, Non-fling formula. Contains a UV Dye. 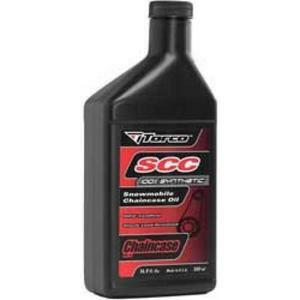 Torco International Corp S790010YE Snowmobile Synthetic Chain Case Oil - 500ml. 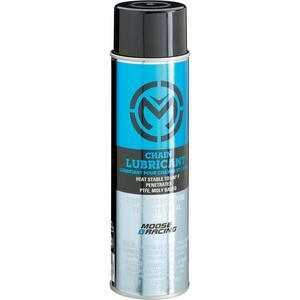 Formulated with Torcos MPZ additive to prevent power loss due to friction. 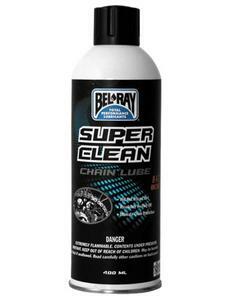 Superior protection against rust, corrosion and wear. 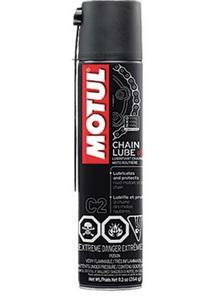 Motul 103244 Road Chain Lube - 9.3oz. Super tacky to resist high speed fling. Compatible with standard o-ring, x-ring and z-ring chain. Colorless. 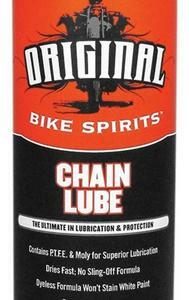 Original Bike Spirits 1047619 Chain Lube - 13oz. 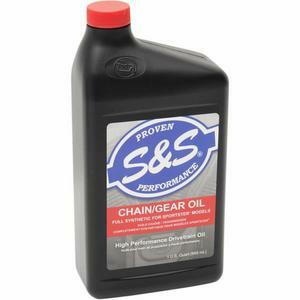 S&S Cycle 153763 High Performance Full Synthetic Sportster Chain/Gear Oil - 1 Qt. Specifically formulated for Sportster models. 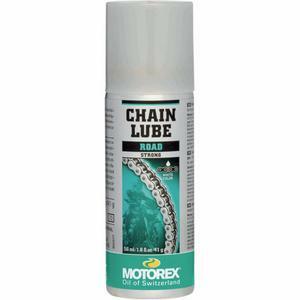 Advanced additives for extended chain life. Full-synthetic formula resists shear and extends life. Available in quart bottles, 12 per case; sold each. Made in the U.S.A.. 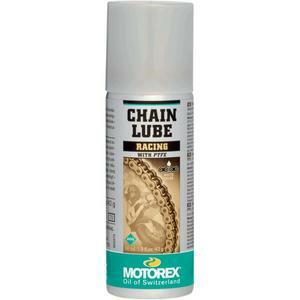 Keeps the kinks in your chain out. Can be used on motorcycles, bicycles, scooters and snowmobiles. 5 oz. aersol can,. 12 per case; sold each. 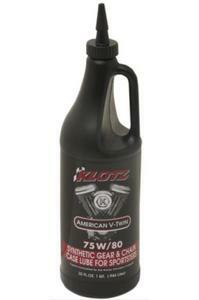 Klotz Oil KH-S80 Sportster Gear and Chain Case Lubricant - 75W80 - 1qt. Custom-formulated for H-D Sportster models. 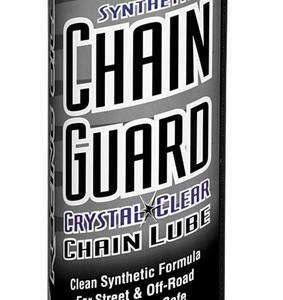 100% synthetic transmission lubricant provides improved thermal stability; absorbs gear shock loading and gear galling. API Service GL-5. 1 quart (.946 l) bottle,. 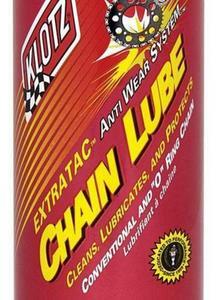 Klotz Oil KL-500 Synthetic Chain Case Lube - 12oz. Penetrates rapidly. Ideal for all types of exposed chains. Reduces friction and wear. Resists rust and corrosion. Heat stable to 500degrees F. 20 fl. oz., 15 oz. net weight, 12 per case; sold each. 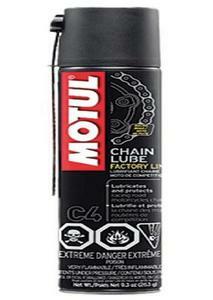 Motul 103246 Factory Line Chain Lube - 9.3oz. Specifically developed for road racing. Compatible for o-ring, x-ring and z-ring chain. Not recommended for off road use. Milky in color. 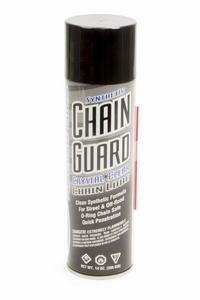 Maxima 77920 Crystal Clear Chain Guard - 13.5oz. 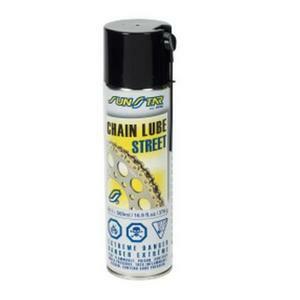 Special antiwear, anticorrosion, Oring safe formula For street and offroad motorcycle chains. Clean and clear synthetic formula.